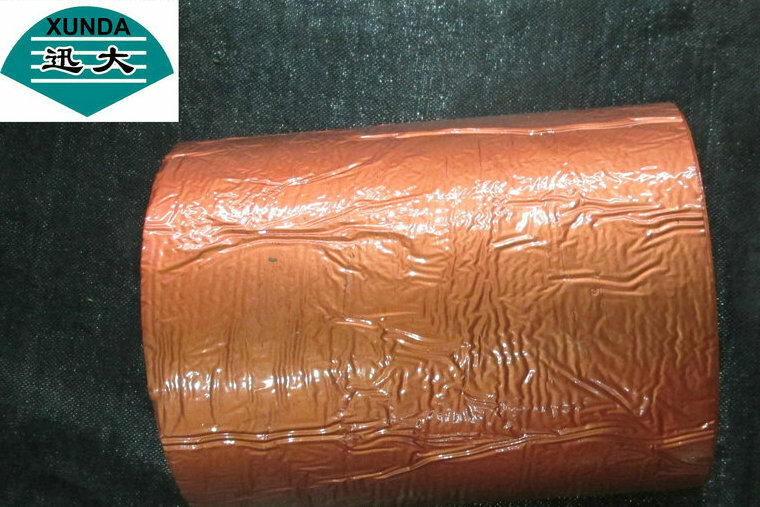 Let us instroduce the aluminium foil bitumen tape mainly, it is called Flashing bituminous tape too. · General repair to existing flashing. · Flashing bituminous felt and similar roofs. · Replacement off lost lead flashing. · Repairs to cracks in concrete. · Repairs to lead gutters. · Sealing capping bolts in roof sheets. · Protective coating to insulation materials. · Sealing projections through roofs and similar sections. · Flashing between timber and brickwork or blockwork or blockwork cavities. · Prime porous surfaces with BLACK JACK BITUMEN AND FLASHING PRIMER. · Do not apply to damp surfaces. · In cold weather or storage conditions, adhesion may be reduced. Bring up to temperature or heat bitumen adhesive layer with a hot air blower to improve adhesion. All surfaces must be dry, sound and free from oil, grease and dust Remove all loose material by scraper or wire brush.